Continually striving to improve Hydraulic Press quality, Lien Chieh Machinery (LCM) is particularly well known for their innovative and energy-efficient Hydroforming Press Machines. 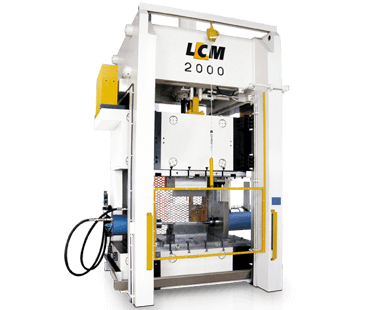 With a very ingenious design, and a wide range of available functions and capacities, LCM’s Hydroforming Presses can produce formed parts with an exceptional strength to weight ratio. One popular type is our Hydroforming Press that is specialized in the production of bicycle parts and uses a maximum load capacity of 1,100 tons. With a fast growing global client base, our Hydroforming machines are being used for a wider range of applications because hydroformed structures are known to be much lighter and stronger than traditional stamped or welded products. With our expert manufacturing techniques, strict quality control, and well organized management systems, we can deliver high quality Metal Forming Presses, on time and with the best customer service. Due to the fact that we can design and develop very specialized Hydroforming Presses that can be tailor made for specific applications, our Presses are always very productive, accurate, and safe. Furthermore from an operator’s perspective, all LCM’s Metal Forming Presses have a simple to operate control system and are quick and easy to set up.